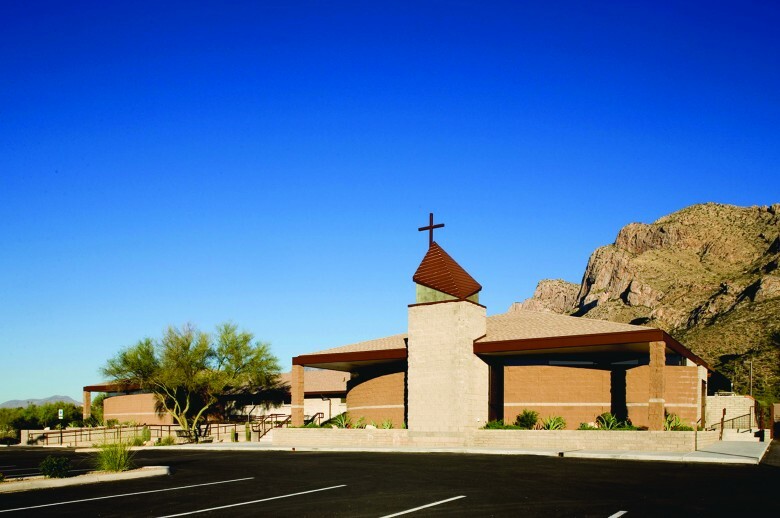 Canyon Del Oro Baptist Church has been realizing accelerated growth in their congregation. Swaim Associates was commissioned to master plan their 15 acre site located adjacent to the Coronado National Forest in Oro Valley. The site provides beautiful views of Pusch Ridge from several vantage points on the site. The phase one sanctuary expansion and classroom addition were designed to grow from and blend with the existing materials palette. As well as drawing attention to the facility, the textures and sloping roofs guide the eye to the mountains beyond. Future phases include Sunday School Classrooms, Adult Education Facilities and a new Sanctuary to seat 800.